In loving memory of Leith, HelpHOPELive will continue his legacy through the Leith Rogovin/Woodstck Day School Compassion Fund to assist other school colleagues who need assistance to help defray catastrophic uninsured medical expenses. HelpHOPELive is a nonprofit organization that provides both tax-deductibility and fiscal accountability to contributors. Contributors can be sure that funds contributed will be used only to pay or reimburse medically-related expenses. To make a kind contribution to this compassion fund, please click the “Donate Now” button on this page or call 800.642.8399. 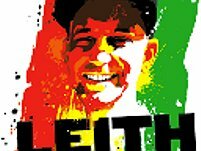 In loving care and remembrance of Leith, thank you for your support. Leith, love you so much man. If money were happiness, you'd have it all. You were a huge inspiration to me and my brother, Emlyn, and you still are! We wish the best for you. My thoughts and prayers are with you Leith. I hope this small amount helps, but more importantly-it comes with many prayers for you. I pray you get through this difficult time and go on to a beautiful life. Hi Leith i'm a friend of your mothers and I just wanted to let you know that you have many people here in Florida that are praying for your speedy recovery.